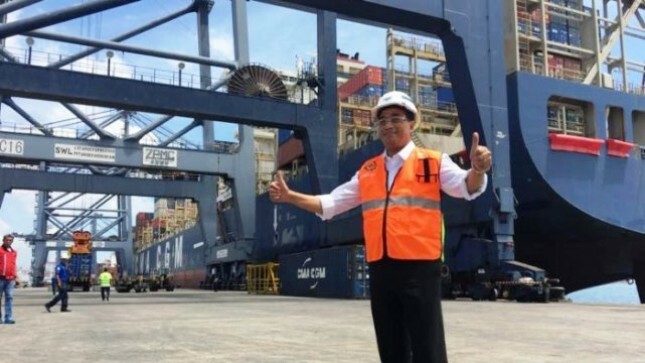 INDUSTRY.co.id - London - Minister of Transportation Budi Karya Sumadi said Indonesia as the world's largest archipelago country committed to continue to realize the safety and security of shipping in support of global economic growth. In his speech, the Minister of Transportation submitted Indonesia's plan to nominate again as a member of IMO C category 2018-2019. As the largest archipelagic country in the world, Indonesia has remarkable inter-island connectivity. To that end, Indonesia will continue to work with IMO in supporting Indonesia's plan as a World Maritime as conveyed by President RI, Joko Widodo at IMO in April 2016, "said Minister of Transportation. 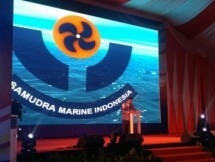 Furthermore, in his speech, Minister of Transportation stressed that Indonesia will continue to develop infrastructure that not only focuses on enhancing accessibility, connectivity, safety and security of shipping and maritime environment protection but also focuses on infrastructure development supporting the establishment of safe and prosperous shipping, in line with inter-regional connectivity better. Therefore, given its strategic location as well as the largest archipelagic country in the world, Indonesia is committed to continue to realize the safety and security of shipping in support of global economic growth. In this Assembly hearing, Indonesia nominated again as a member of Council Category C period 2018-2019 and committed to continue good cooperation with IMO in realizing safer, safer and more environmentally friendly shipping. "Therefore, we expect the support of all IMO member countries on the nomination of Indonesia as a member of the IMO Council of Category C," said Minister of Transportation who was applauded by the 172 member countries of the IMO. The 30th Assembly or Assembly IMO Assembly is held from 27 November to 6 December in London, England. In this IMO Assembly trial there is also an agenda of the IMO Council member elections to be held on 1 December at IMO Headquarters, London England. IMO Council membership consists of three categories: Category A consists of 10 countries representing the largest international commercial shipping fleet and as the largest international sea freight provider. Category B consists of 10 countries representing the greatest importance in the provision of seaborne trade services or the International Seaborne Trade and Category C consists of 20 countries that have special interests in sea transport and reflect a fair share of geographical representation. As for the nomination of IMO Council members from 2018 to 2019, 10 countries are guaranteed to run in Category A, 12 countries for Category B and 24 countries are certain to run for Category C including Indonesia.